Anthony Davis wants to be traded from the Pelicans, but he’s still in New Orleans (for now) after a strange saga involving the Lakers. The most significant NBA trade saga in more than a decade has reached its next stage. Anthony Davis, a top-five NBA player and New Orleans’ lone beacon of hope for years, formally requested the Pelicans trade him. His representatives then spent the next week and a half trying to maneuver him to the Lakers before the 2019 NBA trade deadline. 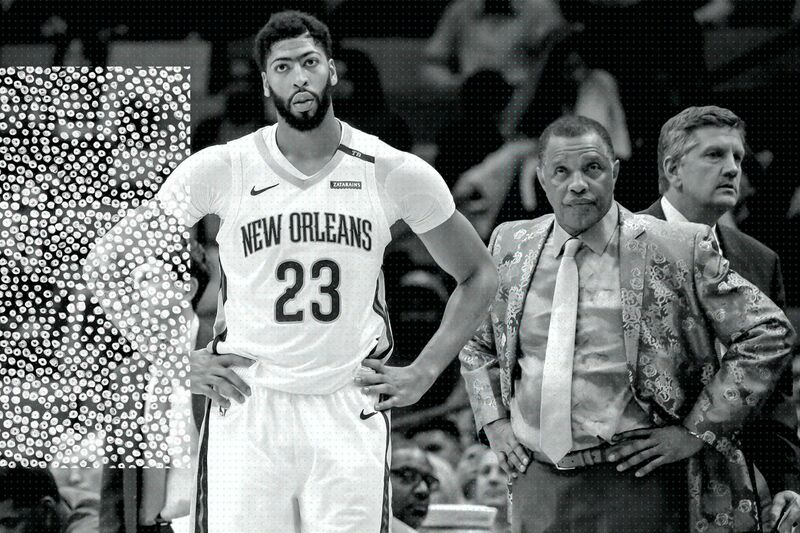 The gambit failed, in part because it behooved New Orleans to wait and in part due to spite, and Davis is still a Pelican as of now. Davis’ contract with the Pelicans expires in 2020, but he was eligible to sign a supermax extension this summer that could have paid him $240 million over five years. In making his request, Davis has conveyed to the team that he will not sign that contract, and they may as well trade him now before losing him for nothing in the summer of 2020. New Orleans has floundered for years and is currently six games under .500, so it not surprising that Davis wants out. As Tom Ziller wrote in November, these were always going to be Davis’ final days as a Pelican. Still, the timing of Davis’ trade request — Jan. 28, a week and a half before the Feb. 7 trade deadline — was significant due to an interesting CBA quirk. The Boston Celtics have long been the favorite to land Davis if the Pelicans ever made him available, due to their combination of young players and draft picks. But Boston could not trade for Davis until the summer without including Kyrie Irving in the deal, due to a rule that prevents teams from employing two players on maximum rookie contract extensions at the same time. Boston must therefore wait until they sign Irving, a 2019 free agent, to a new contract before attempting to pair him with Davis. That opened the door for the Lakers to acquire Davis before Boston can enter the bidding. Davis and LeBron James share an agent, and James has already said he’d love to have Davis on his team. But L.A.’s collection of young players wasn’t enough to convince the Pels to pull the trigger now rather than waiting until the summer, when Boston can participate. That’s a scaled-down version of what happened. The more intriguing details are below. Of course, other teams can and will enter the Davis sweepstakes, even if they have no assurances he will re-sign after 2020. How did we get here, and what could happen going forward? Read this StoryStream to find out, and be sure to visit The Bird Writes for more Pelicans coverage.